As convenient as Internet shopping can be (stores never close, no parking problems, no cranky salespeople), there are as many hazards. There are many good buys online, it’s easy to assume that everything is a good buy. The simplicity of online shopping can blind us to potential pitfalls. Hidden costs. The quoted price may not be the full price. It may not include applicable sales tax (varies by state and merchant) or the costs of shipping and handling. “Handling” can include just about anything that merchant wants to charge for the box, packing materials, tape and labor to put all of that together. The cost of shipping can vary greatly depending on the carrier and speed of delivery. Unscrupulous merchants. There are millions of online merchants online including some with no scruples. The way to avoid this hazard is to know your merchant. Stick with merchants you recognize because they have brick and mortar stores. Read the reviews others have posted regarding their experiences with that merchant. What, no refunds? While many do offer to refund your money if you are not satisfied, merchants are not obligated to accept items for refund, exchange or credit unless the item is defective. Know the seller’s refund policy before you place your order. Will you have to pay for the return shipping? Will there be a restocking fee? Will you get a refund or store credit toward another purchase? Runaway debt. Entering a 16-digit number is so easy that it can pose a serious hazard to your wealth. 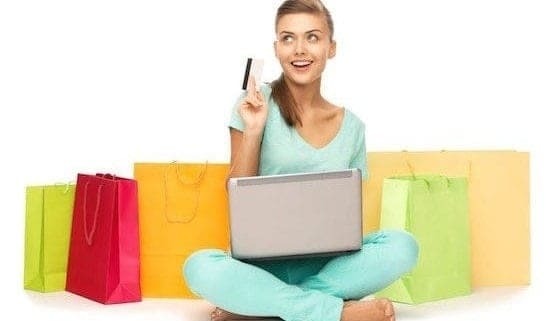 If you are not certain you have the money for your online shopping as soon as your credit-card statement arrives, rethink what you’re about to do. Exercise discipline. Keep track of your spending. Write a check to your card company as soon as you make the purchase. Get the best deal. Use a shopping bot like PriceGrabber.com or MySimon.com to comparison shop. Does Amazon have the lowest price? PriceJump knows, so be sure the check. Take your time, check thoroughly. Online coupons. Before you buy check sites like CurrentCodes.com and RetailMeNot.com for a “coupon code” for this merchant. Count the full cost. Always compare the full cost including shipping, handling and tax. Order early. You want to avoid expensive overnight shipping whenever possible. And when you must have something quickly, make sure the total cost including that pricey shipping is still within your budget. Seriously though, shop early to save. Read the fine print. Know your return and refund rights. When will the product ship? How can you track your order? Keep good records. Be sure to print a copy of your order confirmation for your records. Save any email receipts. Do not hesitate to contact its customer service if you have any questions or concerns. Question: Got any online shopping horror stories? Oh, do tell. Your experience could really help others. Besides, we want to know all the dirt.